Shovel Knight Amiibo Unboxing and Review - Can you dig it? — GamingWithSwag.com - Dads By Day, Gamers By Night. 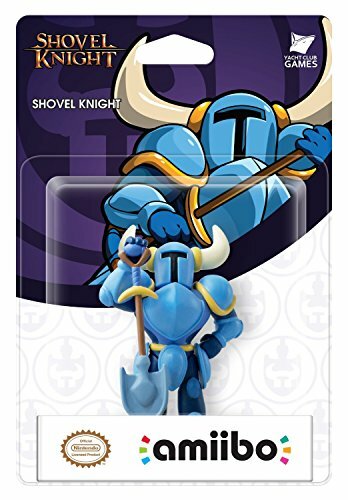 The Shovel Knight Amiibo from Nintendo and Yacht Club games is finally here! This figure blew me away when it was first announced, and today on release my reaction is no different! These are incredibly hard to obtain right now, so if you see one grab it! This is one of the first third-party licensed Amiibo figures that has been released, not including some of the characters released in the Super Smash Bros. series. This opens up a door for other publishers to contact Nintendo about licensing their characters to be created as an Amiibo. I would love to see classics such as other Mega Man characters, Castlevania, and more! Don't miss out on picking this Amiibo up, he is easily one of the coolest figures in my collection! Check out my unboxing and review video below for all of the details on the new Shovel Knight Amiibo.